Jeff is a die-hard sporting fan. He lives on a heavy diet of NBA, NFL, NHL, NASCAR or Soccer games. If you are one of the friends of Jeff, you must have watched him biting his nails at the finishing moments of these sports. He has all the subscriptions to watch all of these sports events online. All was going fine until Jeff has to visit another country for his business needs. The project was lucrative, and he had to go out of the USA. With all the subscriptions of Fox-owned online streaming channels, Jeff was happy that he could watch Champions League and enjoy Totti scoring goals like hell. After a long flight, after reaching to his hotel room, first thing Jeff did was opening his laptop to watch his favorite players showing their best shots. But what happened instead was a very annoying message appeared on his laptop screen: “Due to geo restrictions, you are not allowed to watch this channel from your present location". Jeff felt short of abusing words for all the subscriptions he had from these sports channels. You may be thinking to advise Jeff to switch from Fox-owned series of sports channels streaming services to other providers of the sports even online services. Let me tell you, Fox is not alone to block the access of sports and entertainment events outside the US. HBO GO, Netflix, Pandora, Zatttoo, you name any good streaming service and it is blocked outside the USA. Why is so? I cannot answer that because then I have to mentions all the monopoly, geo-restricted businesses, profit maximization etc. But what’s the solution then? If you google “watch sports, different country” you will find tons of people asking the same. You may also find some companies offering different solutions too. One way to watch your favorite sports event is to find those websites where people stream a game feed onto the internet. They provide these services through their website for people to watch for free. Some people post a recording of the game on their websites for people to watch later. The downside of these alternatives is that most of these recordings get down with in short time by the copyright holders. Another downside is that you might end up downloading some malware or computer viruses while using such websites. If you are lucky you may find a harmless website with the right sport event recordings you are looking for. But most of these free and amateur level recordings have an awful video quality that all of your love for sports will turn into anger for technology. Most of these websites use cheap hosting services, and you get to wait for their servers to respond and let you download the contents in a very clumsy manner. Another solution you may find on the internet is buying a foreign TV subscription. But you will not find it a reasonable or economical option for you when you aren’t planning to live overseas. 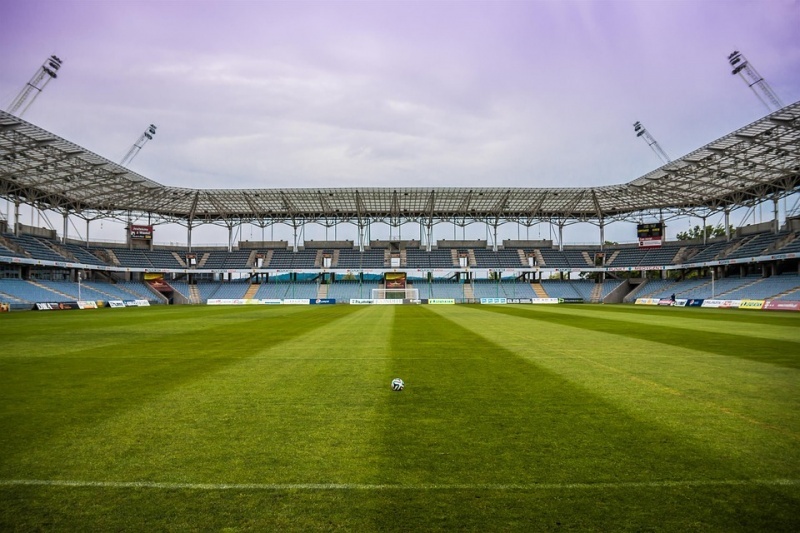 Sports leagues are aware of these problems, their die-hard fans are facing and they are at work to provide you a solution. NFL Game Pass is one of the examples of such services, where you can buy this pass and watch NFL online even if you are in a different country than the US. However, all these solutions cost you a fortune to watch the game in a different country. However, there is a safe and totally legal way to access your subscribed channels anywhere from the world. This is called Virtual Private Network or VPN. When you use any VPN service, it replaces your IP address with a different IP address from a US server. This way you subscribed channel website would assume that you are accessing the channel from within. As a result, you will be able to watch all the channels you used to watch online while being in the USA. There are a few good VPN services that are known for providing speed, quality, reliable functions, and affordable online freedom. Whichever VPN services you choose, make sure you are having a healthy VPN experience. First and foremost feature of a VPN service is obviously what you are looking for is controlling the information of your location. Not only should you be able to select your location as the US to watch sports online, but also choose other countries as your location, for example, you can even set up a VPN for China. This will give you extra advantage of securing your browsing location and secure your privacy online. Besides watching your favorite sports channels from a different country than the USA, you can have other benefits of using a VPN service whether you are abroad or in the USA. And that is to control and prevent DNS leaks. DNA leaks are major privacy concern and security vulnerability. This can cause your true IP address to leak out into the open. While you might not have any idea, your online activities could be visible to the hackers and marketers looking for your basic information and shopping habits. Picking a VPN service will automatically safeguard your DNS information and online activity. Not only a good VPN service will free your mind from the security threats to your private information, but it also release you to rely on your ISP for the security and location of your DNS. Jeff is now happy that he can move anywhere in the world and still access his favorite sports events without worrying about anything related to geo-restriction, his browsing through an ISP of a different country and his private information online. Besides enjoying his favorite sports, Jeff downloads torrents for all his favorite movies while on his business trips. But he was concerned about the malware and virus attacks from most of the websites providing torrent downloading services. Since VPN service now provides complete anonymity to the user, now Jeff download his favorite torrents through his VPN service without worrying about his laptop getting any “diseases”. One last thing Jeff is happy about is the simplicity of using a VPN service. Good VPN providers provide simple software for your Windows or Mac desktop. They also provide apps for iOS and Android if you want to use it on your phone. Once you have the software, you just need to choose a server in US and off you go to watch your favorite sports. Jeff is now a happy die-hard sports fan and a very successful businessman who travels across the world.